Easton / Carlo van Oosterhout lives in Etten-Leur. He started in 2007 with minimal techno (you can not hear this in his current sound at all). Later he went further in harder techno. He had several great examples and one of them was Len Faki. His sound can vary, but there will always be industrial and dark techno in his sets. His sets are substantive and never boring, you can not stand still! He has performed at Dance Festival Breda, Dinâmica Techno Cruise, Dreamvillage, Dopamine, PKHS NYE Special and many more. 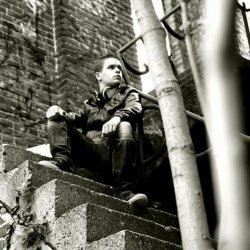 Sebastian Feldmann is a talented DJ and Producer living in Eindhoven. He began his career almost 10 years ago. At the age of 20 years he started playing vinyl. He played hardstyle, trance and early hardstyle. But his interest for dance music kept growing during the years. He created his second alias, Alec Vulture and also started producing EDM with one of his best buddies and had some succesfull releases. Alec Vulture has his own monthly podcast, ''Where's the Subcast''. Bas created his new alias Sebastian Feldmann for his techno project. He is a big fan of dark and deep techno with pounding kicks and acid sounds. His mixes are melodic, deep and have a special flow. On stage, he always knows what to do, to give the audience a good vibe.